READ, DAVID BREAKENRIDGE, lawyer, politician, educator, and author; b. 13 June 1823 in Augusta Township, Upper Canada, third son of John Landon Read* and Jennet Breakenridge; m. 20 Sept. 1848 Emily Ballard in Picton, Upper Canada, and they had three sons and four daughters; d. 11 May 1904 in Toronto. 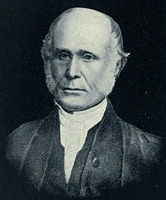 David Breakenridge Read was educated at Brockville and in 1836 was sent to Upper Canada College in Toronto. There he mingled with the sons of the provincial élite. In 1840 he was admitted as a student by the Law Society of Upper Canada. He began his articles in the Brockville office of George Sherwood and completed his studies in Belleville with John Ross* and then in Toronto with John Willoughby Crawford*. 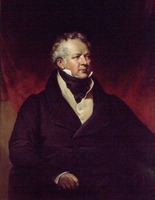 After his call to the bar in June 1845, he established his own firm in Toronto; he would eventually take in partners and build a large, successful practice. In the mid 1840s Read became politically active, as a scrutineer at an election poll. Though a devout Tory, he forged lifelong friendships with public figures of different political stripes, including Oliver Mowat. In 1858 he was elected an alderman for St Patrick’s Ward, and he sat on more than a dozen committees of council. The resignation of William Henry Boulton* as mayor led to Read’s election on 11 Nov. 1858 as the city’s 14th chief magistrate. He served for only 50 days, the shortest mayoralty in Toronto’s history. Read seems to have preferred less partisan civic involvement. In 1856 Attorney General John A. Macdonald* appointed him to a commission to revise and consolidate the statutes of Upper Canada [see Sir James Robert Gowan]. As junior commissioner, Read had the onerous task of secretary. In many respects, the late 1850s marked the zenith of Read’s legal career and he was honoured in 1858 by being appointed qc. In November 1855 he had been elected a bencher of the Law Society of Upper Canada, and until his retirement in April 1881, he served the society continuously, taking special interest in legal education. 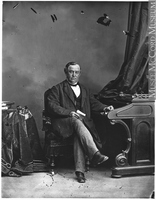 He not only acted as principal to a number of exceptional articling clerks, such as John Alexander Boyd*, but also lectured for over a quarter century to law students at Osgoode Hall. His Lectures on the Judicature Act . . . (1881) was published at the request of the profession. However demanding his professional responsibilities, Read found time for numerous other activities. A keen sportsman, he joined the Toronto Cricket Club, the Caer Howell Bowling Club, and the Royal Canadian Yacht Club. He belonged to the Toronto Club and was an officer in the 5th Battalion of Toronto militia. He was, as well, a strong supporter of the Church of England; he helped to establish two churches in Toronto, St John’s and St Matthias’, and acted as a churchwarden and representative to synod. Always interested in advancing his profession, he was a founder of the County of York Law Association in 1885 and accepted a position as its historian. If law was Read’s vocation, history was his avocation. Following his retirement in 1881, he increasingly gave his time and energy to preserving Ontario’s history, much of which he knew first- and second-hand. He wrote articles for leading journals and gave public lectures. 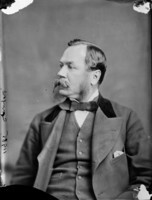 A vice-president of the York Pioneers, he served on the executive committee of the Pioneer and Historical Association of Ontario (subsequently the Ontario Historical Society). 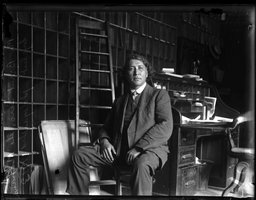 He was also an honorary member of the Women’s Canadian Historical Society of Toronto, which he had been instrumental in establishing in 1895. Read’s most durable legacy is his historical writings. Chief among these is Lives of the judges of Upper Canada and Ontario . . . (1888). Valuable for Read’s personal recollections of early jurists, it has become a classic in Canadian legal historiography. He also wrote early biographies of two Upper Canadian heroes, John Graves Simcoe* and Sir Isaac Brock*, in 1890 and 1894 respectively. 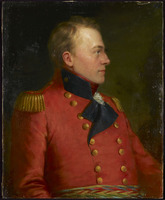 These sometimes meandering studies, steeped in the nostalgia and patriotism of Ontario’s centennial celebrations, reflect the author’s reverence for “the old regime of toryism.” His Canadian rebellion of 1837 (1896) offers a conservative counterpoint to the influential Whig interpretation of John Charles Dent*. Read’s final work, The lieutenant-governors of Upper Canada and Ontario, 1792–1899 (1900), is an informative mixture of research and reminiscence. Read’s books were widely reviewed and generally well received. They did not always meet the rigorous standards of the emerging school of professional Canadian historians. For example, the Review of Historical Publications, edited by George MacKinnon Wrong* and Hugh Hornby Langton*, dismissed Canadian rebellion as a mere compilation from known works, with “not the slightest evidence of original research or historical insight.” Read’s amateur efforts none the less served to stimulate a broader interest in Ontario’s past and are still cited by historians. D. B. Read suffered a stroke in November 1902 and was bedridden for the last 18 months of his life. He died in May 1904 and was buried privately in St James’ Cemetery, Toronto, among the illustrious figures of Upper Canada, many of whom he had known and chronicled in life. 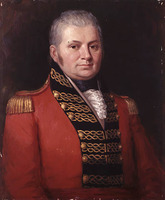 In addition to the works cited in the text, all published in Toronto, David Breakenridge Read’s writings include The life and times of Gen. John Graves Simcoe . . . (Toronto, 1890); Life and times of Major-General Sir Isaac Brock, k.b. (Toronto, 1894); and two articles in the Canadian Institute, Trans. (Toronto): “Newark in 1792” and “The Hurons,” 1 (1889–90): 72–76 and 86–95, respectively. 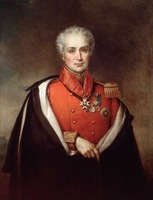 He also assisted with the editing of The consolidated statutes for Upper Canada . . . (Toronto, 1859). An oil portrait of Read, dating from around 1885 and attributed to George Theodore Berthon*, is in the CTA’s City of Toronto Art Coll. (A75-96), housed at the Market Gallery in the South St Lawrence Market. There are several published photographs of Read, including one in Russell, Mayors of Toronto, cited below. AO, F 983, unbound papers, Read to Mrs Strachan, 25 Oct. 1889; F 1139, MS 249, 1898–1922: 2–26, 32–54, 88; MS 259, 1898–June 1900; RG 22, ser.305, no.16993. CTA, RG 1, A, 1858; B, D. B. Read, final report of mayor of Toronto, 30 Dec. 1858 (mfm. at AO). Law Soc. of Upper Canada Arch. (Toronto), 1-1 (minutes of convocation), 2: 585; 3: 482, 571; 5: 582; 6: 663. NA, MG 26, A; MG 29, D34, esp. Read to Jarvis, 23 July 1890; RG 68, 85: 123–24, 457. Daily Mail and Empire, 12 May 1904. Globe, 27 Sept. 1848, 10 Dec. 1881, 12 May 1904. Donald Jones, “7-week mayor was a lawyer and historian,” Toronto Star, 23 Oct. 1982: H7. World (Toronto), 12 May 1904. M. A. Banks, “An annotated bibliography of statutes and related publications: Upper Canada, the Province of Canada, and Ontario, 1792–1980,” Essays in Canadian law (Flaherty et al. ), 1: 378. Carl Berger, The sense of power; studies in the ideas of Canadian imperialism, 1867–1914 (Toronto and Buffalo, N.Y., 1970), 89–108. Canadian men and women of the time (Morgan; 1898). Chadwick, Ontarian families, vol.2. Commemorative biog. record, county York. Hist. of Toronto, 2: 133–34. J. D. Honsberger, The County of York Law Association: a history of the first hundred years, 1885–1985 (Toronto, 1989), 9–10, 17, 50, 53. J. A. Macdonald, The letters of Sir John A. Macdonald . . . , ed. J. K. Johnson and C. B. Stelmack (2v., Ottawa, 1968–69). Ella Reed Wright, Reed–Read lineage; Captain John Reed of Providence, R.I., and Norwalk, Conn., and his descendants through his sons, John and Thomas, 1660–1909 (Waterbury, Conn., 1909), 127. Rev. of Hist. Pubs. Relating to Canada (Toronto), 3 (1898): 85; 5 (1900): 117–18. V. L. Russell, Mayors of Toronto (1v. to date, Erin, Ont., 1982– ). Donald Swainson, “The North-West Transportation Company: personnel and attitudes,” Man., Hist. and Scientific Soc., Papers (Winnipeg), ser.3, no.26 (1969–70): 59–77. John D. Blackwell, “READ, DAVID BREAKENRIDGE,” in Dictionary of Canadian Biography, vol. 13, University of Toronto/Université Laval, 2003–, accessed April 25, 2019, http://www.biographi.ca/en/bio/read_david_breakenridge_13E.html.